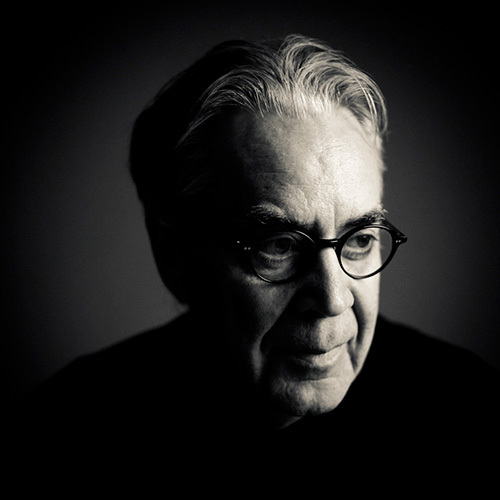 HOLLYWOOD—After nearly a decade and a half of writing music for hobbits, dwarves, elves, wizards, dragons and other fantastic creatures, composer Howard Shore bids adieu to Middle-earth. The Hobbit: The Battle of the Five Armies, which opens this week, is the sixth and final film of director Peter Jackson's series adapting J.R.R. Tolkien's classic fantasy books. Shore has scored all of them and, by his estimation, has written approximately 21 hours of music for The Lord of the Rings and Hobbit trilogies. "The connection for us was always the Tolkien books," says Shore by phone from his studio in Tuxedo, N.Y. "We had this great novel to work with – The Lord of the Rings – and then we had The Hobbit to work with. That's always been the center of it, these two books. "They were always on my desk as I was writing," he adds. "No matter how big it got, how large the movies were, you always had the book. [The idea was] to take his writing, his thinking, his words, his ideas, as complex as they were, and put them on the screen as truthfully and with as much heart and soul as we could. We all wanted to do that well because it was so important to so many people all over the world." Shore first encountered the Tolkien novels in the 1960s. "I always connected to Tolkien very much in terms of nature... the idea of things 'green and good.' That's inherent in the story of The Lord of the Rings: the struggle to destroy the ring was to save everything that was green and good, to save the beauty of the world as we know it. That connects with me, and got into the music in a way that resonated with audiences." The composer credits New Line Cinema CEO Robert Shaye, whose studio launched the original Lord of the Rings trilogy in 2001, for "wanting to do it right. If you want to make great films, it can be costly. I had huge resources at my call: A 96-piece orchestra for every session, a mixed choir of 60 to 80 singers, at least 50 in the children's choir, and then soloists – whoever I could think of to come into the project. The only thing we really fought was the clock." Shore won the original-score Oscar for The Fellowship of the Ring and then both best-song and best-score Oscars for The Return of the King two years later. Counting the additional music he added for the expanded DVD editions of all three films, he composed about 14 hours of music: essentially one long grand opera (nearly as long that other famous operatic "ring cycle," by Richard Wagner). The challenge at the start was to find the right sound for Tolkien's epic fantasy landscape. "What could you work with, musically, that would give you the breadth and scope and detail to tell a story of this length? I used, essentially, a 19th-century language" – although, he adds, there are also "modernisms, late 20th-century avant-garde techniques" too. 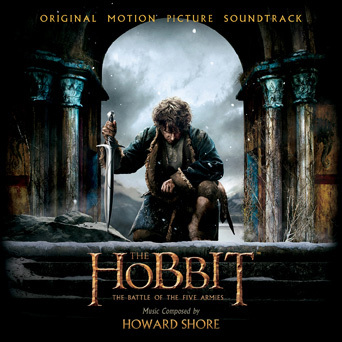 When the Hobbit trilogy began in 2012, Shore went "there and back again," to borrow the subtitle of the original novel, revisiting a few musical ideas but also starting anew within the same musical framework. He's penned an estimated seven hours of additional music for those films. For the final Hobbit, Shore composed new themes for Dain Ironfoot (Billy Connolly) and the Gundabad Orcs – "and, of course, there is a lot of development" of earlier themes from the Hobbit films. 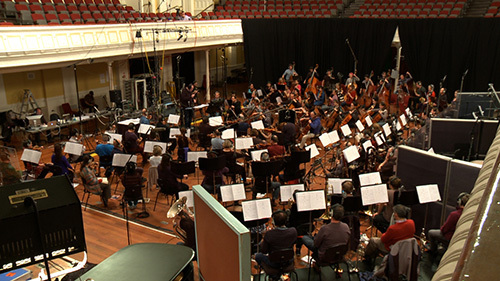 Shore composed, orchestrated and conducted all three Rings films and the first Hobbit, but for the second and third Hobbit films turned the orchestration and conducting over to veteran Conrad Pope (with additional orchestration by James Sizemore), and both latter films were recorded by the New Zealand Symphony Orchestra in the Wellington Town Hall. Choral sections were recorded in London by the London Voices. Coloring the final score are the sounds of Japanese shakuhachi, Indonesian gamelan, Tibetan bells, Australian didgeridoos, the South Asian stringed sarangi, and the largest timpani in the Southern Hemisphere. The mood, as the film concludes with Bilbo and Gandalf parting, is undeniably elegiac – yet buoyed by the Irish whistle and the Shire theme that began the adventure nearly a decade and a half ago. Director Jackson calls Shore's score "the heartbeat of the film. Over the last 14 years, I have been lucky enough to spend many hours listening to, giving notes on, and losing myself in Howard's music of Middle-earth." Adds Paul Broucek, president of Warner Bros. Music (and, as former head of music for New Line, the studio executive who has worked with Shore on all six films): "Howard's score has been a huge character throughout the entire series. It fully embodies Middle-earth. He creates the setting, the context, the world, the emotions – the things that you can't necessarily show but you have to feel. The tone was pitch-perfect. Howard made the whole world of Middle-earth work not just for Peter Jackson and the studio, but for the fans. I have never seen so strong a connection between a composer and an audience for a film." Case in point: the three Rings films are now playing around the world in concert settings, as the films unspool while the music is being played live by full symphony orchestras and choirs. Counting Shore's two-hour Rings "symphony," the Rings music has now had a total of 340 performances. Shore concedes that the Tolkien odyssey changed his life. "It's been enormously fulfilling," he says. "It came at the right time. I was in my mid-50s, so I was really prepared for it. I was able to express ideas in music that I had had for years. And it seemed to resonate." These days, Shore is as active on the concert front as on the film front. His song cycle, A Palace Upon the Ruins (with words by Elizabeth Cotnoir) debuted in August in La Jolla, Calif., and he is currently writing a guitar concerto for Montenegro classical guitarist Milos Karadaglic to debut in 2016. Asked if he might return to Tolkien's world, should The Silmarillion one day be filmed, Shore admits, "We've thought about it. I don't know if it's quite filmable. Somebody might figure out a way to film it, or parts of it. I do love Tolkien. I never tired of it. Working with those languages, and all those fantastic musicians. What a dream."